An orthotic is an insert that fits in your shoe. It’s purpose is to align your foot and ankle into the most anatomically efficient position. While they look similar to ordinary insoles, they are really biomechanical medical appliances designed exclusively for your feet and specifically to correct foot imbalances or dysfunction. Custom made orthotics change and improve foot function in a way similar to glasses helping your eyes. By realigning the bones and joints of your feet and re-balancing motions that occur during your gait cycle, orthotics can reduce or eliminate undue stress which can lead to foot, leg and low back problems. Your custom orthotics fit as comfortably into your shoes as an insole, but they have the advantage of having been made from precise imprints of your feet. Many of the activities we pursue can put an inordinate amount to stress on our feet. Through repetitive use, or if there are biomechanical flaws in your gait, this can translate to foot, knee, hip, or back pain or dysfunction and, in some cases, even neck pain. Are custom made orthotics better? custom orthotics may be able to help you overcome them so you can get back in the game and enjoy your activities. 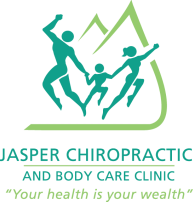 The Jasper Chiropractic and Body Care Clinic uses the TOG GaitScan™ to ensure you get the most correct fit. It is an innovative diagnostic tool and digital casting device that helps analyze the biomechanics of your foot and gait in order to prescribe the best product. By using the TOG GaitScan™, Dr Boyne has access to a wealth of information that’s not visible by simple observation. As you walk across a platform on the floor, numerous data points are recorded which track minor flaws in foot biomechanics. The scan helps to shed light on sometimes invisible issues that, if left untreated, could develop into painful conditions over time. Could custom orthotics help you? If you would like to find out how your gait measures up, all it takes is a simple walk across the device. Once you’ve been assessed, Dr. Boyne can discuss any advantages custom orthotics may have for you.